Get outdoors at The Burren and The Great Western Greenway. Do some cultural sightseeing at King John's Castle and Dromoland Castle Golf Club. 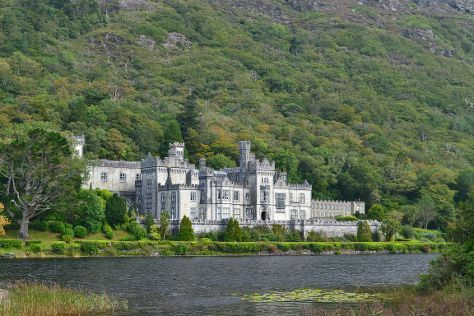 Explore Galway's surroundings by going to Cliffs of Moher (in Liscannor), Bunratty Castle and Folk Park (in Bunratty), The Quay Gallery (in Westport), Irish Crafts (in Doolin), Connemara Blue (in Clifden) and Kylemore Abbey & Victorian Walled Garden (in Kylemore). There's still lots to do: take a memorable drive along Wild Atlantic Way and tour the pleasant surroundings at Eyre Square. To see other places to visit, where to stay, more things to do, and tourist information, refer to the Galway travel itinerary creator. If you are flying in from United States, the closest major airports are Dublin Airport, Shannon Airport and Cork Airport. August in Galway sees daily highs of 66°F and lows of 54°F at night. Finish your sightseeing early on the 18th (Fri) so you can drive back home.